*It’s time for the President to hit the campaign trail! 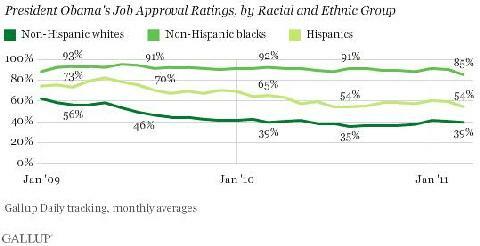 And if it wasn’t obvious, check the Gallup polls. Just as soon as all the candidate’s feet hit the pavement, the polls come out in full swing. When Clinton ran the second time (and when the Monica Lewinsky fiasco jumped off) he was disabled by the American people because obviously, his numbers dipped.